Dropping the headlight bar was something at first I hesitant to do. My reasoning was that it looked fine with the stock height bar. But after searching out a few examples online of fendered '29s with '32 grills it was starting too look like it really did need to be done. Here are the before and after comparisons. And now that it's dropped and on the car, I'm so glad I did it. 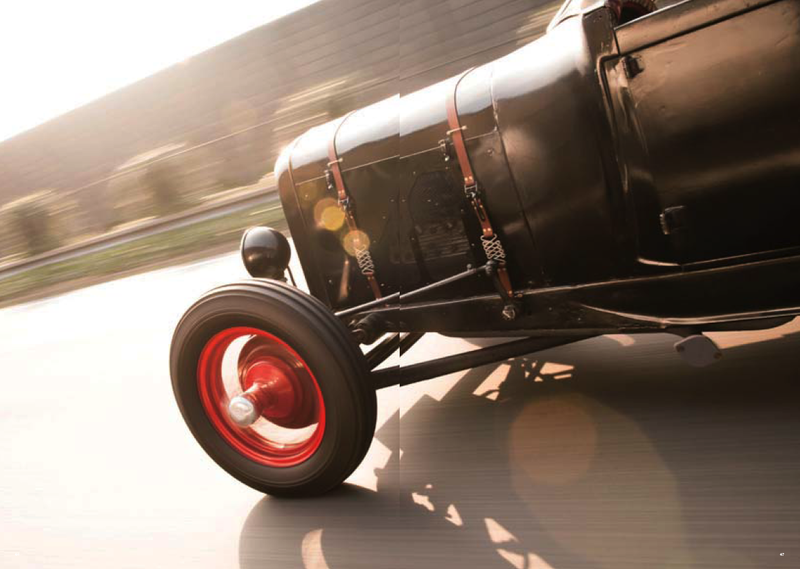 Turns out that it's must-do for hot rods --who knew! It's only about a 3 inch drop, but the difference it makes is quite large. The bar is now crosses the center of the grill. And with the lights lower, the whole 'face' of the car has better proportions. In a previous post I showed you how I installed the fenders on the hi-boy roadster and how I made a '29 headlight bar fit a car with a 32 grill. But dropping the ends of the bar needed skills I haven't mastered yet. I found that out when I tried dropping it myself and failed. Luckily the talented Mr. Pete Eastwood was accessible to me. I see Pete at many local hot rod events, later I learned that he drops bars like the pro while reading how others do it on the HAMB. The jig I made that I couldn't use. 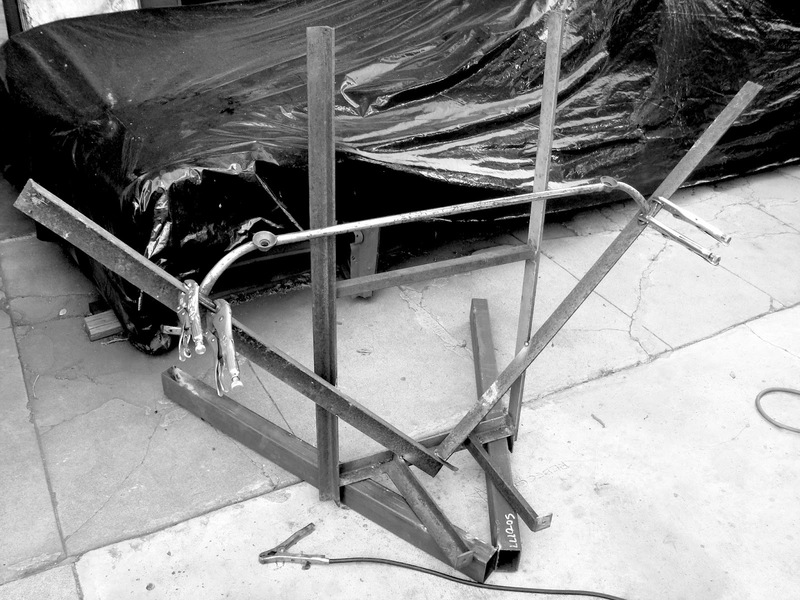 Failure: Here is my overly elaborate scrap-metal jig I built to drop the bar. But due to never seeing how it's done, I was out of my element. After Pete showed me the simple jig that he made, mine looks like a joke! I won't share secrets of the master, but Pete has made dropping headlight bars a science. For him, it's child's play. I can't show you Pete's jig, but I can share one detail of his work found on my freshly dropped Model A bar. Take a look at this close-up photo of the bar end. Maximum drop, but with a quality of a factory part. Now look closer. Maybe you didn't notice, but the 28/29 bar ends are actually upside-down. Pete cuts the ends off just shy of the light mounting cups. 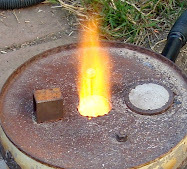 Then flips it over before welding it back on to the center while in his jig and probably after completing the drop. This is to start the drop coming off the flat fender mount in the downward direction. It's an easy cheat to get the best look and the space to use factory style bolts. The stock bar points up from the mounting, the new bar points down. You can see it on the stock bar bolted to my jig above for comparison. When I picked it up from Pete I was more then happy with the result. The soft S-curves gave it the classiest look. Thank you Pete! Apparently my nickname for the outrageously vintage and well appointed roadster stuck. Daytons hit the Japanese mainland and within months was splashed accross the pages of a popular moto-culture magazine. Good work Sehoji! Fly Wheels magazine --half car/half motorcycle, all vintage stuff. 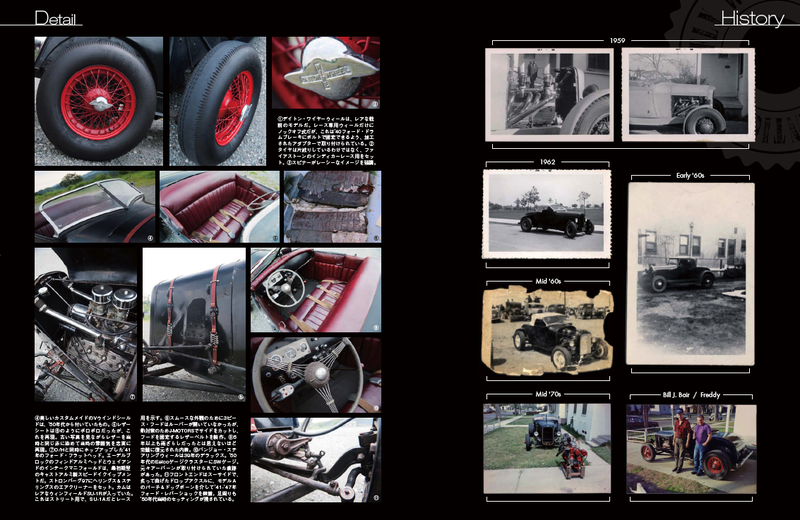 It is one of the many publications catering to the American nostalgic Japanese motorist. It's large format, with high quality images of cars, bikes and events make it one of the best. It is reminiscent of the popular US magazine/book, The Rodders Journal, but on matte finish paper instead. I have to thank Sehoji again for sending me several copies to keep and give out. I don't read, nor do I know anybody fluent in Japanese. So what is written in the margins is left to my imagination. But I'm going to assume the stories told about the car is about its distant and recent past --perhaps I get a mention? Some of the small detail pictures are out of the photo album of original pictures that went with the car. By themselves, the reader gets a good idea at the car's vintage. But again if you can't read Japanese, the story is missed. Despite the few changes & additions made to the car, it's still the same car. Some I'm sure are for safety like the new rear tires & turn signals. But the car really looks great. Yeah, I sometimes miss the car. But I'm really, really happy to see it in good hands. "Hello! 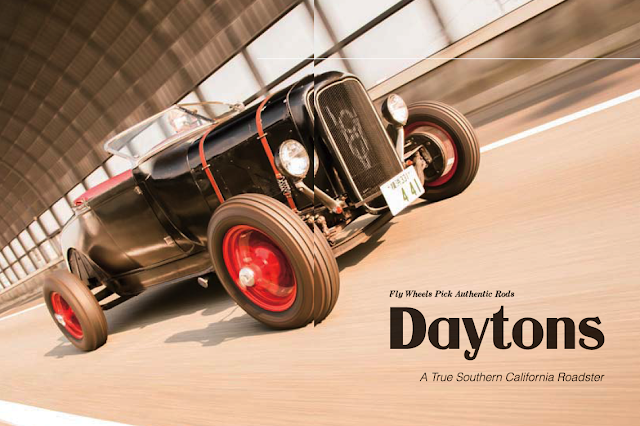 I'm Ayako and my husband Souichi Oikawa, who wrote the Daytons story, is the chief editor of Fly Wheels magazine. The Daytons story is mainly based on the article in Rod & Custom, and of course, this blog. First I translated those to Japanese and then my husband wrote the story based on them. And yes, you got a mention! You can see your name on page 40 and it explains that you found the car, which was far from in good condition, and did the excellent job to save it. 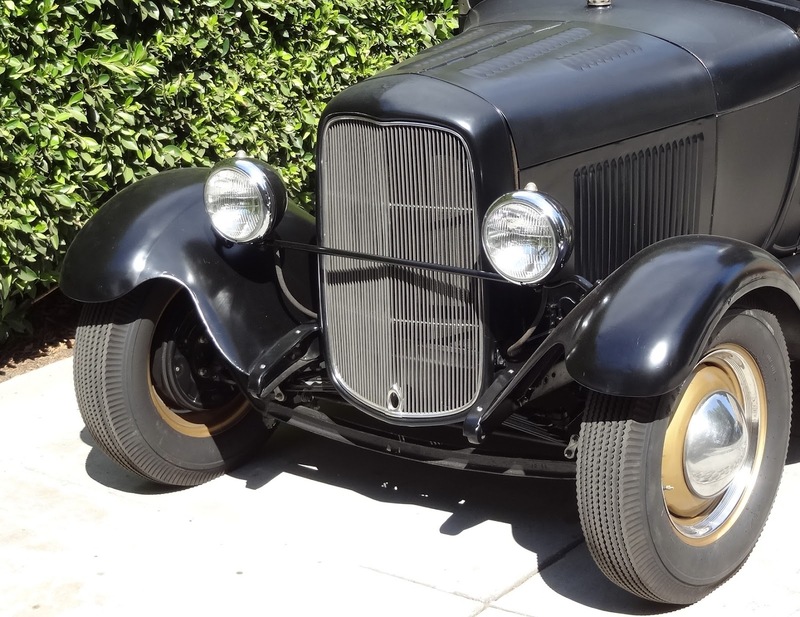 The most important mention is that you had no intention to change the look of the car because that's the style Bill Bair had taken as perfect 50 years before. We were impressed by that. And what you did was just like a time-warping effect on the car, the story says. BTW my husband is happen to be a long-time reader of this blog. He had already known all about Daytons when he heard it's coming to Japan. FYI he's not very good at English--that's why he needed my translation--but he can still enjoy your blog..."
Thank you Ayako for leaving that very nice comment. 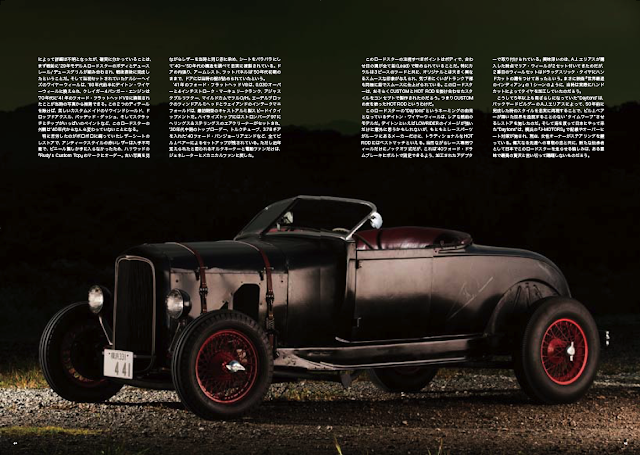 The magazine article is very classy, everybody I have shown it to has been impressed. As far a s big shows goes, the Syracuse Nationals is up there. Thousands of cars, as far as the eye can see in all directions. Any style, any era, a mecca for the automobile --mild to wild. I was visiting Upstate New York for my wife's high school reunion which also fell on the same weekend the 'Nats' an hour south in the town of Vestal. Her old college instructor/cousin "Johnny" Butchko lives in nearby Binghamton, and has always been into cars, invited me to "a car show" earlier in the season. I thought, "Oh, that's nice, a local car show, no big deal." Not until the dateline got closer to the east-coast trip did Johnny hint that the car show would host 7000 cars. And I still wasn't taking it seriously enough! So we landed that Wednesday in Syracuse, NY (due to an airline mistake), it was two days before the big car show, and already the streets were buzzing with roadsters & coupes! By Friday morning I was in Binghamton, NY. 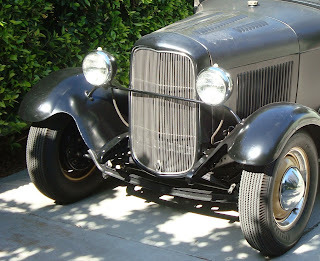 Johnny picked me up at a local Dunkin Donuts and we drove to the show in his Model A hot rod. Now I was revved-up after seeing street-machines all over southern NY for the last few days. The one-hour highway drive to Syracuse in a open car with an open exhaust was sensory overload and a drive I would not soon forget. My ears rang for hours, but with no lasting effects from the auditory distress. I know you are reading this Johnny and I'm fine, really! A great mix of all sorts of cars --something for everybody indeed! 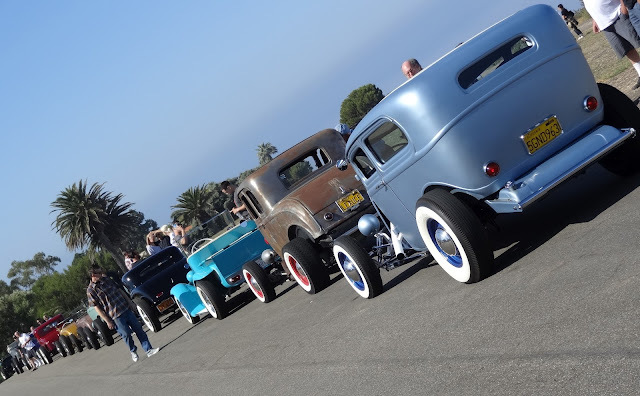 I gravitated towards the traditional hot rods of course and there were a lot to see. As far as I was from so-cal the influences are still strong. Eastern themes are ever present, radically modified bodies, flashy paint and channeled cars abound. If anybody is the embodiment of Right-Coast hot rodding it was my host Johnny. The Model A we drove to the show in is purely Eastern, and it was very cool. One car of many he's owned in his lifetime. The variety was uncanny. I perhaps saw only half the cars there, but I think I got my fill. Girls look the same east or west coast. Johnny & I made some new friends. Nubby & Johnny had never met before. Boom --instant friends! Also cool was meeting Nubby, custom painter & pinstriper from the TV show American Chopper. A super friendly and approachable fellow. Only in the east coast! A car that is the epitome of "The Nats". If it weren't for the super hot and humid weather it could have been even more fun. But summer is for driving and binging out the good stuff. LA has summer practicably all year, car shows all year. New Yorkers make the most of their summers with enormous car show events!